Find everything you need for a successful school year. Welcome to Maroa-Forsyth Middle School! We are looking forward to assisting you in fulfilling your educational goals. 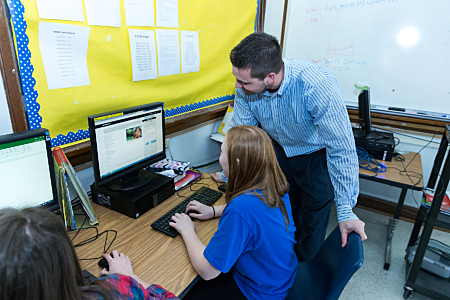 Maroa-Forsyth has a history of fine academic and extra-curricular accomplishments. We expect you to meet the goals which have been set and to carry on the tradition of “Excellence and Pride” at Maroa-Forsyth Middle School. 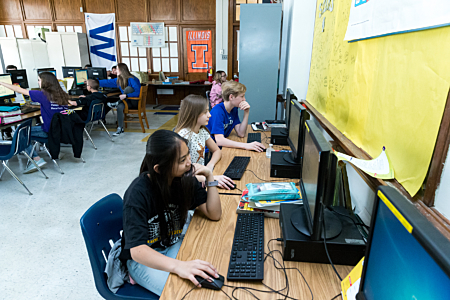 You can benefit from everything Maroa-Forsyth Middle School has to offer by being actively involved in the learning in your classes and the programs offered. If you encounter difficulties, seek assistance from your teachers or myself. We are here to make your years in school as successful, yet educationally challenging, as possible. Everything you need for a successful school year can be found in the Maroa-Forsyth Middle School handbook.